Can anyone doubt that if there were more than 1,300 hunger strikers in any country in the world other than Palestine, the media in the West would be obsessed with the story? It would be featured day after day, and reported on from all angles, including the severe medical risks associated with such a lengthy refusal to take food. At this time, two Palestinians who were the first to start this current wave of resistance, Thaer Halaheh and Bilal Diab, entering their 64th day without food, are reported by the prisoner protection association, Addameer, and the NGO, Physician for Human Rights-Israel, to be in critical condition with their lives hanging in the balance. Despite this dramatic state of affairs there is scant attention in Europe, and literally none in North America. In contrast, consider the attention that the Western media has devoted to a lone blind Chinese human rights lawyer, Chen Guangcheng, who managed to escape from house arrest in Beijing a few days ago and find a safe haven at the U.S. Embassy. This is an important international incident, to be sure, but is it truly so much more significant than the Palestinian story as to explain the total neglect of the extraordinary exploits of these thousands of Palestinians who are sacrificing their bodies, quite possibly their lives, to nonviolently protest severe mistreatment in the Israeli prison system? Except among their countrymen, and to some extent the region, these many thousand Palestinian prisoners have been languishing within an opaque black box ever since 1967, are denied protection, exist without rights, and cope as best they can without even the acknowledgement of their plight. There is another comparison to be made. Recall the outpouring of concern and sympathy throughout the West for Gilad Shalit, the Israeli soldier who was captured on the Gaza border and held captive by Palestinians for five years. A powerful global campaign for his release on humanitarian ground was organized, and received constant reinforcement in the media. World leaders pleaded for his release, and Israeli commanding officers even told IDF fighting forces during the massive attacks on Gaza at the end of 2008, which killed more than 1,450 Palestinians, that their real mission was to free Shalit, or at least hold accountable the entire civilian population of Gaza. When Shalit was finally released in a prisoner exchange a few months ago, there was a brief celebration that abruptly ended when, much to the disappointment of the Israeli establishment, Shalit reported good treatment during captivity. Shalit’s father went further, saying if he was a Palestinian he would have tried to capture Israeli soldiers. Not surprisingly, Shalit, instead of being revered as an Israeli hero, has quietly disappeared from public view. The Israeli response to the hunger strikes is shocking, but hardly surprising, within the wider setting of the occupation. Instead of heeding the moral appeal implicit in such extreme forms of resistance, there are widespread reliable reports of punitive responses by Israeli prison authorities. Hunger strikers have been placed in solitary confinement, held in shackles despite their weakened conditions, denied family visits, had personal belongings confiscated, and subjected to harassing comments by guards intended to demoralize. 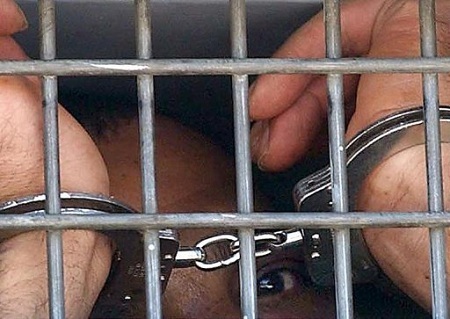 Israeli media has generally taken a cynical attitude toward the strikes, suggesting that these hunger strikers are publicity seeking, aiming to receive ‘a get out of jail free’ card, and deserve no empathy even if their life is in jeopardy because they voluntarily gave up food by their own free will, and hence Israeli prison authorities have no responsibility for their fate. Some news reports in Israel have speculated about whether if one or more hunger strikers die in prison, it will spark an uprising among the Palestinians, but this is less an expression of concern or a willingness to look at the substantive issues than it is a source of worry about future stability. Robert Malley, another influential liberal voice who had been a Middle East advisor to Bill Clinton when he was president, while more constrained than Friedman, suggests that any sustained display of Palestinian nonviolence if met with Israeli violence would be an embarrassment for Washington. Malley insists that if the Palestinians were to take to the streets in the spirit of Tahrir Square, and Israelis responded violently, as the Netanyahu government certainly, it “would put the United States in an … acute dilemma about how to react to Israel’s reaction.” The dilemma depicted by Malley derives from Obama’s constant encouragement of the democratic aspirations of a people who he has repeatedly said deserve their own state on the one side and the unconditional alignment with Israel on the other. Only a confirmed liberal would call this a genuine dilemma, since any informed and objective observer would know that the U.S. Government would readily accept, as it has repeatedly done in the past, an Israeli claim that force was needed to maintain public order. In this manner, Palestinian nonviolence would be disregarded, and the super-alliance of these two partners in crime once more reaffirmed. Let there be no mistake about the moral and spiritual background of the challenge being mounted by these Palestinians. Undertaking an open ended hunger strike is an inherently brave act that is fraught with risks and uncertainties, and is only undertaken as an expression of extreme frustration or acute deprivation. It is not an act undertaken lightly or as a stunt. For anyone who has attempted to express protest in this manner, and I have for short periods during my decade of opposition to the Vietnam War, it is both scary and physically taxing even for a day or so, but to maintain the discipline and strength of will to sustain such a strike for weeks at a time requires a rare combination of courage and resolve. Only specially endowed individuals can adopt such a tactic. For a hunger strike to be done on such a scale of collective action not only underscores the horrible ordeal of the Palestinians that has been all but erased from the political consciousness of the West in the hot aftermath of the Arab Spring. 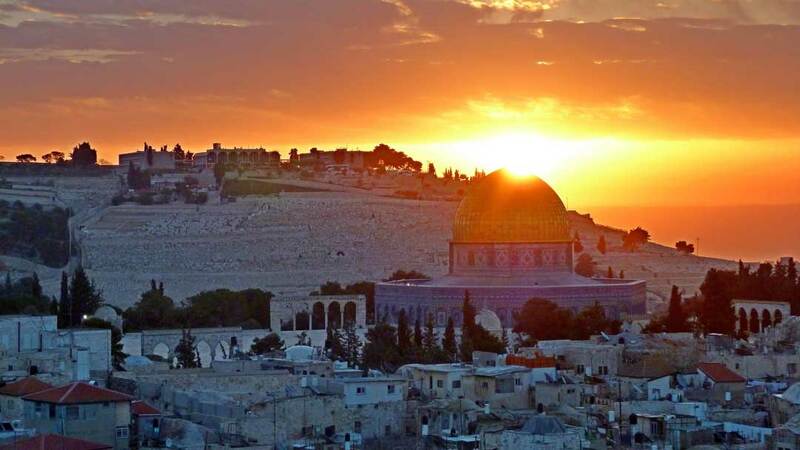 The world has long refused to take notice of Palestinian one-sided efforts over the years to reach a peaceful outcome of their conflict with Israel. It is helpful to recall that in 1988 the PLO officially accepted Israel within 1967 borders, a huge territorial concession, leaving the Palestinians with only 22% of historical Palestine on which to establish an independent and sovereign state. In recent years, the main tactics of Palestinian opposition to the occupation, including on the part of Hamas, has been to turn away from violence, adhering to a diplomacy and a practice that looked toward long-term peaceful coexistence between two peoples. Israel has not taken note of either development, and has instead continuous thrown sand in Palestinian eyes. 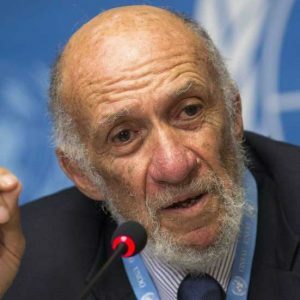 The official Israeli response to Palestinian moves toward political restrain and away from violence have been to embark upon a program of feverish settlement expansion, extensive targeted killing, reliance on excessive retaliatory violence, as well as an intensifying oppressiveness that gave rise to these hunger strikes. One dimension of this oppressiveness is the 50% increase in the number of Palestinians held under administrative detention during of the last year, along with an officially mandated worsening of conditions throughout its prison system.